In any type of business where you are providing a service for an outside party, it's always in your best interest to have a contract. A contract protects not only you, but also the person who is doing business with you. Contracts can seem like a piece of undecipherable gibberish, but drawing up your own contract isn't as hard as it seems. Start with the basics. Choose information to go on your contract that provides information about your particular business such as prices and when the services will be completed. Your business is unique to you; your contract should reflect what you have to offer your client. Make your contract easy to read. A contract doesn't have to be written in complicated verbiage no one can understand. Supply your client with a contract that states the information in a template that shows the client an easy-to-read agreement. Go over anything that the client might not understand. Be sure to go over the contract with your client before either you or the client signs it. This way, both of you can discuss any points of interest and decide if anything needs to be adjusted to satisfy both parties. Find a basic template as a starting point. Look at other contracts to get ideas on what to add to your personal contract. There are things that might interest you that you can add to your own contract to make it as informative as possible. Leave blanks for changing information. Always leave spaces that can be altered such as dates, names and special disclaimers, depending upon the second party. You can also leave blank space for information that is unique to your client and needs to be added to your contract. Make copies. 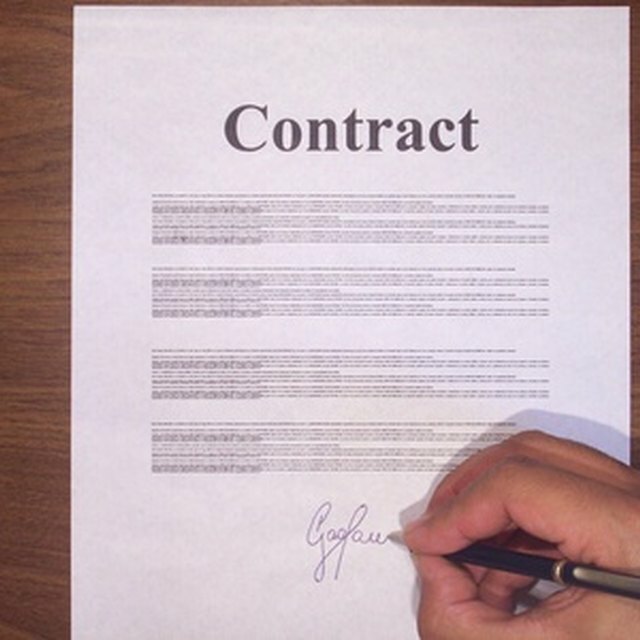 When presenting a contract, have extra copies so that both copies of your agreement have original signatures. This way your client and you both have a signed agreement that is not a facsimile of a signature and cannot be altered after signing. Keep a copy of your contract on your computer for easy access. Seek legal advice before there's a problem with your contract. Keep a copy of your contract on your computer for easy access. Seek legal advice before there's a problem with your contract.